Accra (Ghana): Five years after the introduction of MenAfriVac, an affordable vaccine for meningitis A produced by Indian firm Serum Institute of India, immunization has led to the near elimination of the deadly disease in Africa’s ‘meningitis belt’, says the Clinical Infectious Diseases journal. 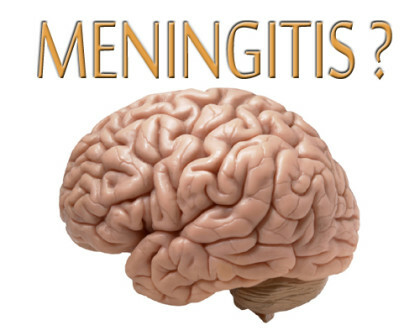 Meningococcal A meningitis, a bacterial infection of the thin lining surrounding the brain and spinal cord, affected 26 countries in Africa for over a century, killing and disabling young people every year. The disease is highly feared on the continent; it can kill people or cause severe brain damage in a child within hours. Epidemics usually start at the beginning of the calendar year when dry sands from the Sahara desert begin blowing southward. A joint press release by the World Health Organisation (WHO) and international non-profit health organisation PATH said MenAfriVac was introduced as an improvement over older polysaccharide vaccines, which can only be used after epidemics start, and do not protect infants, and provide only short-term protection. WHO and PATH said the findings contained in the journal were part of a special collection of 29 articles about the steps taken for the development, introduction, and evaluation of MenAfriVac. The release said the vaccine was developed in response to a plea for help from ministers of health in sub-Saharan Africa after an outbreak of meningitis A in 1996 that infected over 250,000 people and killed over 25,000 in just a few months. The vaccine costs less than $0.5 a dose. “Scientists are now warning that unless countries within the belt incorporate the meningitis A vaccine in routine immunization schedules for infants, there is a risk that the disease could rebound in 15 years’ time,” it said. “One of the journal studies found that a childhood vaccination strategy will be much cheaper than reacting to future epidemics with disruptive and costly case management and mass vaccination campaigns,” it added. Jean-Marie Okwo-Bele, WHO director of immunization, vaccines and biologicals, said: “We have nearly eliminated meningitis A epidemics from Africa, but the fact is the job is not yet done. Steve Davis, president and CEO of PATH, said: “our partnership allowed us to develop an affordable, tailor-made vaccine for use against meningitis A in sub-Saharan Africa in record time and at less than one-tenth the cost of a typical new vaccine. Gavi, a public-private partnership committed to saving children’s lives and protecting people’s health by increasing access to immunization in poor countries which was instrumental in the efforts to produce the vaccine has hailed it for saving children across Africa. Gavi CEO Seth Berkley said his organisation “is proud to have supported the protection of 220 million children and young adults against meningitis A across 16 African meningitis belt countries in just five years. The joint release also said that as of mid-2015, “the vaccination campaigns reached more than 220 million people aged 1 through 29 years in 16 countries, including Benin, Burkina Faso, Cameroon, Chad, Cote d’Ivoire, Ethiopia, Gambia and Ghana. In Guinea, Mali, Mauritania, Niger, Nigeria, Senegal, Sudan, and Togo, Group A meningitis has disappeared wherever the vaccine has been used, it said. Of the 26 countries in the African meningitis belt, 10 still need to fully roll out vaccination campaigns. “When scientists followed up with 900 people aged 2 through 29 years from Senegal, Mali, and Gambia who were vaccinated with MenAfriVac, they found that 90 percent of individuals still had protective antibodies in their system five years later. Study authors said this is a good predictor of even longer-term protection that they will continue to track,” it added.